Our design-build process integrates our entire team of industry experts, early on in the process of building your new home through the utilization of the latest industry practice known as Integrated Project Delivery. Defined by the American Institute of Architects (AIA), Integrated Project Delivery (IPD) is “a project delivery approach that integrates people, systems, business structures and practices into a process that collaboratively harnesses the talents and insights of all participants to optimize project results, increase value to the owner, reduce waste, and maximize efficiency through all phases of design, fabrication, and construction”. Through our integrated approach, our team ensures better management of your home project throughout the entire phases of design and construction — offering the greatest protection of your investment. When partnering with the team at Nanke Luxury Homes, you receive the focused attention of a single team with one objective. Unlike the traditional design-bid-build approach, which is fragmented and lacks systems of management and control, our team works collectively to ensure the maximum result for you new home. Our team will provide you with detailed schedules and cost estimates throughout each phase, so you are informed throughout the entire process of your project. As well, we work with you to provide the best option for your home, so that you can make informed decisions. 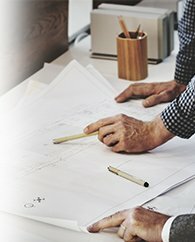 With a single team working together, you receive the comfort and peace of mind, knowing you’ll have the best outcome from project inception to completion.